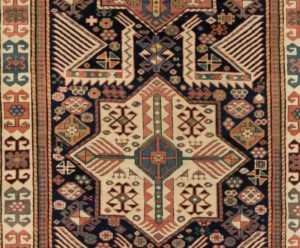 Akstafa Rugs are one of the sub-categories of the broader category of Caucasian Rugs – sometimes classified with the Shirvan group – and originate from the region (southwest Shirvan) of Azerbaijan in the eastern Caucasus in the proximity of the Caspian Sea. 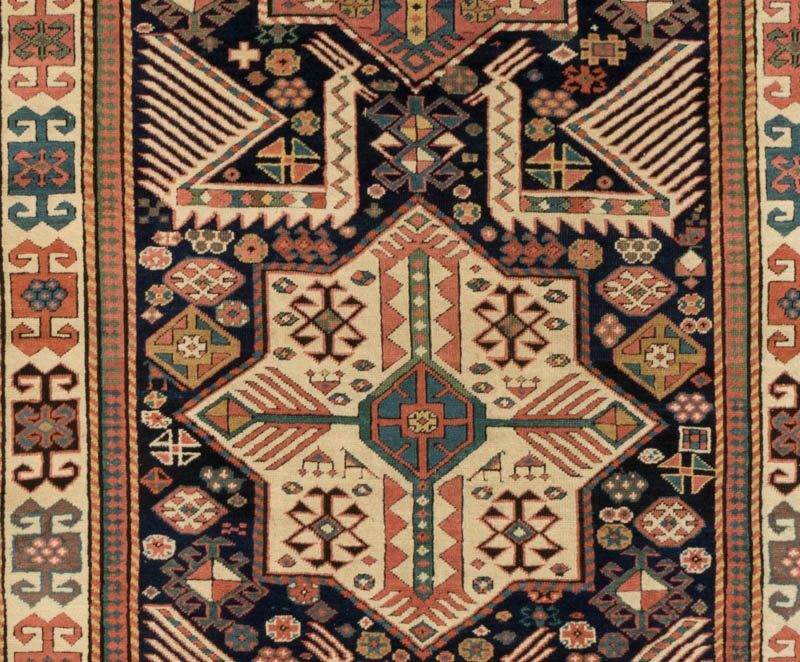 Traditional Akstafa designs may typically include figures such as geometric-shaped birds inside the field of the rug or small cruciform hooked and/or diamond motifs within a large octagonal or star-shape medallion(s), typically bordered by small geometric flower patterns, animal figures or a combination of design elements. 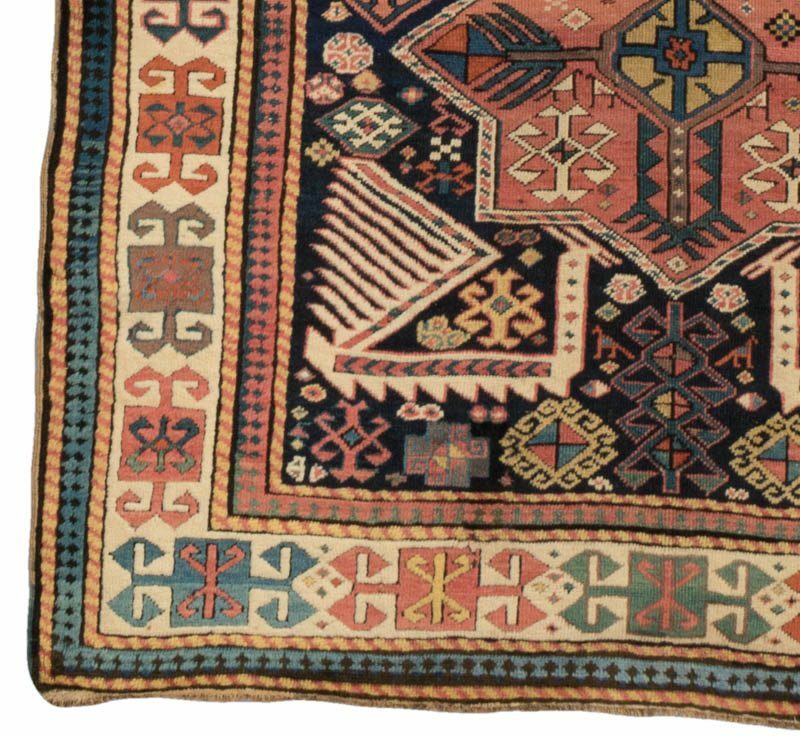 They are woven with the Turkish knot and although they are similar to Shirvan rugs they are often distinguished by a unique geometric peacock-like motif. 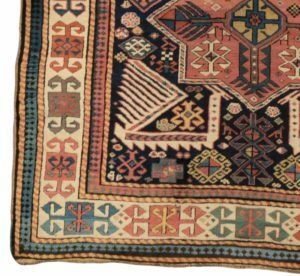 This breaktaking piece is in excellent condition.